We have been asked many times to write an article explaining the treatments that were used on Millie following her recent dog attack…below is everything that we did and suggestions that were sent to us. There were so many, we might have missed a few…but this is most of what was suggested to us. 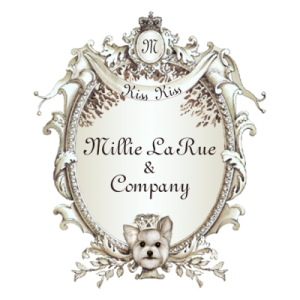 I will also post this on Millie’s webpage so that anytime someone needs it…it will be there on her BLOG. This past Christmas Eve started out as every other beautiful holiday night…and in the blink of an eye our lives were turned upside down. The doggies were being taken into our backyard for one last potty before we headed off to dinner with friends who had just arrived from out of the country. They were to spend the Christmas weekend with our family and we had barely said hello…their bags were not even unpacked. Once outside, our group of 5 yorkies heard sounds from next door and began barking…there were dogs next door, and THEY began barking…people from next door began making taunting, barking sounds…laughing at the uproar it was now causing and within seconds, it was out of hand and one of the dogs tore into our yard through the bushes and attacked Millie. She was grabbed up into the huge dog’s mouth and the dog refused to drop her. Millie’s daddy was finally able to wrestle her from the dog’s clamped mouth just as the dog began to “shake” Millie in her mouth like a little rabbit!!! She was rushed to the vet and emergency surgery was performed. After 2 months of rest and constant care, she is back to normal…with only the slightest limp every so often in one of her back legs! What followed on Millie LaRue’s Fan Page on Facebook can only be described as unbelievable! People from EVERYWHERE were praying for her recovery and sending helpful advice on how to care for her during her recuperation. I have compiled a list of things that we did/used for Millie. We do not in any way guarantee the success of these treatments, but they worked for us. Of course, you should always check with your vet before trying anything on your own doggie…but I want to share with you some of the many, many things that were suggested to us after Millie LaRue was injured in the hopes that perhaps something here will help others. In the first few days we took Millie’s temperature twice a day and adjusted her surroundings accordingly. 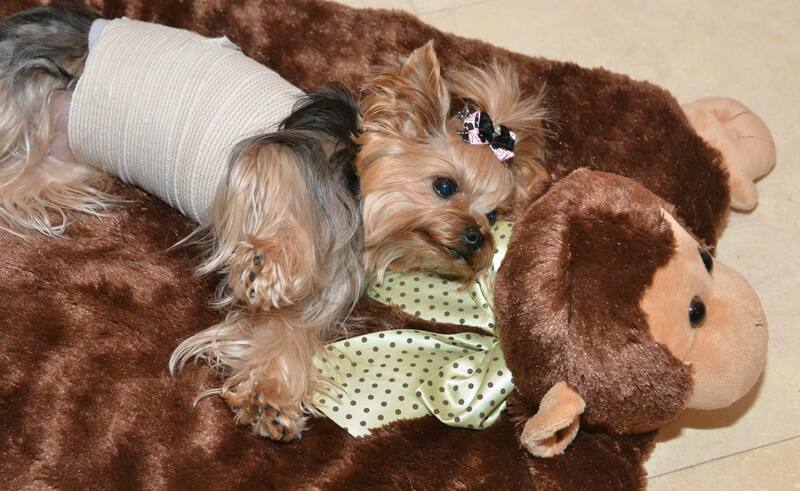 She was kept on a heating pad set on LOW and a dear friend sent her a little stuffed doggie that has a heated insert. We could position this little stuffed doggie next to her and she would curl up around it and rest her head on the warm doggie. We encouraged her to stand and take a few steps several times a day so that her joints did not get too stiff. We took her outside for brief periods to just get fresh air and to stand and potty. The other doggies really stayed away from her. Another friend sent us a small enclosed doggie pen where we could place Millie on a little pillow, inside the enclosure, when we had to leave the room…so that the other doggies would stay away from her. Cook over low heat, stirring constantly until it is thickened. *ace bandage for binding/support and holding bandages in place. It took two months of constant care and attention….but Millie is well and happy and very active! We want to thank everyone again…a million times over…for all of the prayers and suggestions that were sent to us. Millie never developed any infection from her wounds and never had any major setbacks. There were a few extra visits to the vet due to worrying over wound drainage and increased swelling in areas…but there was no major issue with her recovery process…. It was just a slow process that could not be rushed. Thank-you again to everyone who sent in all of the helpful suggestions to get Millie through this. I hope that this article will offer help to anyone who might find themselves in a similar situation and I pray that anyone NEEDING this advice has a speedy recovery! 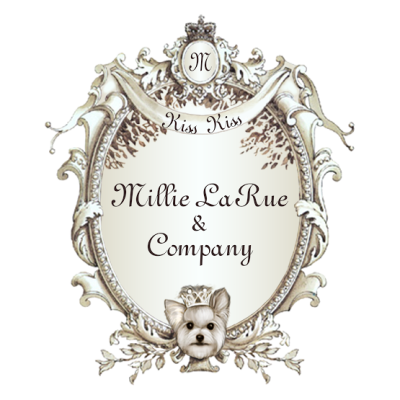 Kiss Kiss from Millie LaRue & Mummy too! Millie, I am so sorry this happened to you! This is. Very helpful info. I always worry about Ruby getting attacked by a large dog when we are out walking! I love you blog! Hugs? Millie LaRue, I had no idea of your attack because I ended up having 2 completely different strains of the flu. Reading it now has brought tears to my eyes just thinking about how afraid you and your Mommy were. So happy to hear you are mended and I’m making nots on some of your Mommy’s suggestions in regard to wound care. That was always my fear when I walked Chloe, Xena and Zack! ? I will NEVER forget this attack on you. I remember that Christmas Eve, and how I felt when I read your mummy’s words that she posted. I was in shock, and my heart was very heavy. All I could do was light our prayer candle, pray, and wait. You are nothing less than a warrior to us. I remember that horrible day. That’s about when I started following you. I hope that other pet parent paid for your vet bill at the very least. So glad you are all better. When I read that my heart fell and I couldn’t believe it. But so thankful to the Lord for restoring her to health. Millie, I had no idea that had ever happened. You have the best mommy and daddy ever!